On a UK winter morning in 2012, two mothers, Suse and Becky stepped out into the cold, dressed in merino wool sweaters with their little baby girls cradled in their arms. They looked down at their babes wrapped in layers and layers of fabric and thought, shouldn’t there also be warm merino wool garments for these (super) little ones too? The two mothers were Becky Sayer, an experienced garment designer and Suse Fletcher, a product development executive with a background in merino wool. What better two women to start a business to fill that need? Suse and Becky mused about what to name their business. While snuggling with their babies, an undeniable feeling filled their hearts, like it had every day since they first held their newborns in their arms - Superlove. And just like that, the business name followed - Superlove Merino. 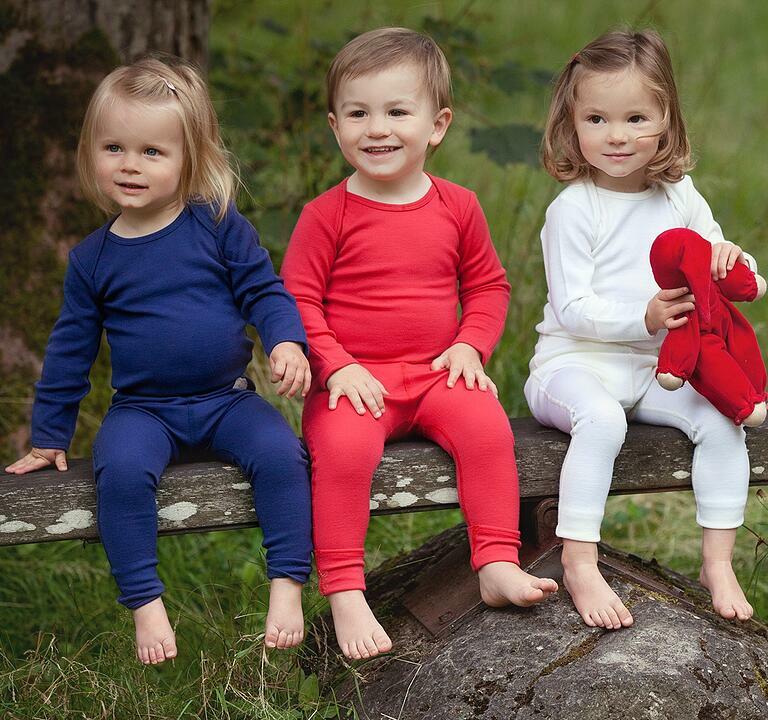 Superlove Merino began to produce garments and accessories made of 100% superfine merino wool that is extremely warm, yet still light enough for the adventurous moves and shakes of babies, toddlers and kids up to 6 years old, exploring their new world. They created garments that would not only be high-quality and super soft, but also last long-term. Superlove Merino garments would really stand out from the rest. A product conceived with this much love couldn’t be made by a company with any unethical standards - every aspect of Superlove Merino garments are the true embodiment of love when it comes to the environment, manufacturing standards, animal welfare and packaging. Special care has been taken to ensure ethical, high-quality standards from conception of the design all the way until the end of garment’s life. Superlove Merino has an international supply chain and a global presence. Garments are designed in the UK and produced nearby in a contracted, well-supplied, fair trade factory. The merino wool to make the garments comes from happy merino sheep in New Zealand, farmed ethically to the highest welfare standards under the renowned ZQ program. They have a beautiful eCommerce website built on Shopify, but also have a design studio where people can drop in to have a feel of the amazing fabrics that make up the garment. They also run a seasonal pop-up shop. Superlove Merino sells B2B with TradeGecko’s new marketplace with a group of retailers in the UK, Europe and Australiasia. As the company began to grow from a sparkle in their founders’ eyes to an international retailer and wholesaler, they quickly realized that their business operations weren’t running nearly as smoothly as all those baby bottoms they were covering in their super-soft merino wool. In just 2 years, they went from having 4 product types to 21, and they were feeling the growing pains with each new SKU added. They had chosen top quality fabrics, top of the line designs and top of the industry ethical standards with love - but were managing inventory with bottom of the line technology. They were using spreadsheets and with up to 500 SKUs; those were constantly crashing and being corrupted. They were growing fast and juggling retail, wholesale and manufacturers, plus dealing with mis-calculated reorder points and running out of stock - an especially serious problem when you sell seasonal garments. Customers just can’t wait. Along with losing money, the team was also losing valuable time - time that could have been spent designing and producing instead of managing stock and redoing inventory. Superlove Merino found TradeGecko after researching and trialing all the inventory management softwares on the market. In the end, it was TradeGecko’s features and value for money that won them over. They also appreciated the intelligence aspects of TradeGecko when it came to managing stock levels. They didn’t want to hold 100 items of each variant, and TradeGecko gave them the tools they needed to only re-order when necessary. Tradegecko helped them take back control over their business operations. Not only did all the inventory management functions keep them organized, the analytics helped free up their time to focus on the parts of the business that really mattered. Now, when a customer orders a product, SuperLove Merino can be sure they are looking at stock levels in real time. With the inventory under control, they can now compete with bigger brands and set higher standards for themselves. They’ve been able to save hours that used to be spent on managing corrupted spreadsheets and weekly stocktakes. Suse estimates that TradeGecko has saved them 1-2 hours each day, which translates into 5-10, even 15 hours a week. This time can then be spent on other aspects of the business that encourage growth, such as marketing, advertising and taking adorable photos of babies and kids wearing their products. SuperLove Merino uses the B2B platform to manage the wholesale aspects of their business, allowing a lot of independent retailers to order easily and even use dropshipping if they prefer. It helps them develop strong, better relationships with those independent retailers. B2B is such a selling point for a company like ours: a small, up and coming brand. We like to support other independent retailers and we wouldn’t be able to do that without all the features in the B2B portal. It has removed so many barriers, and we can support our own customers in the easy, flexible way they need it. We are able to handle 25% more business because of the B2B portal. As for TradeGecko integrations, they use QuickBooks for accounting, which allows them to let their customers pay by credit card and ship right away - something that has really added to overall customer satisfaction. They also use Shopify to integrate multiple stores: they use two Shopify accounts - one for their regular store and another for their seasonal pop-up shops. Superlove is looking at integrating with Amazon soon and waiting for more integrations to come. Superlove Merino has big expansion plans for the next few years. They will bring on more SKUs and look into expanding to Europe and possibly even further away. With TradeGecko, they feel like they have room to grow, and still be able to manage their inventory. What’s softer than a baby’s bottom? Your baby’s bottom in Superlove Merino garments! In the end, Superlove Merino is an inspiring example of how to succeed with a business born out of a passionate idea, a whole lot of love and a bit of help from TradeGecko along the way. 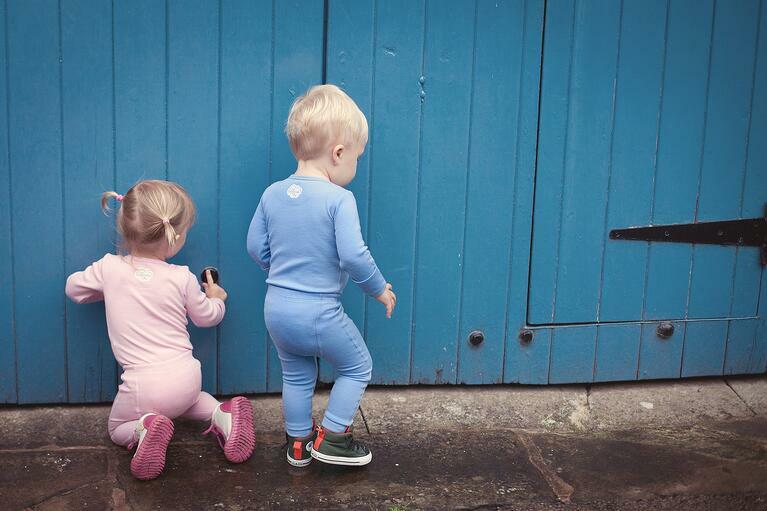 Find out more about Superlove Merino’s commitment to a running a completely ethical company on their website and find out more about these garments for the little ones in your life here.